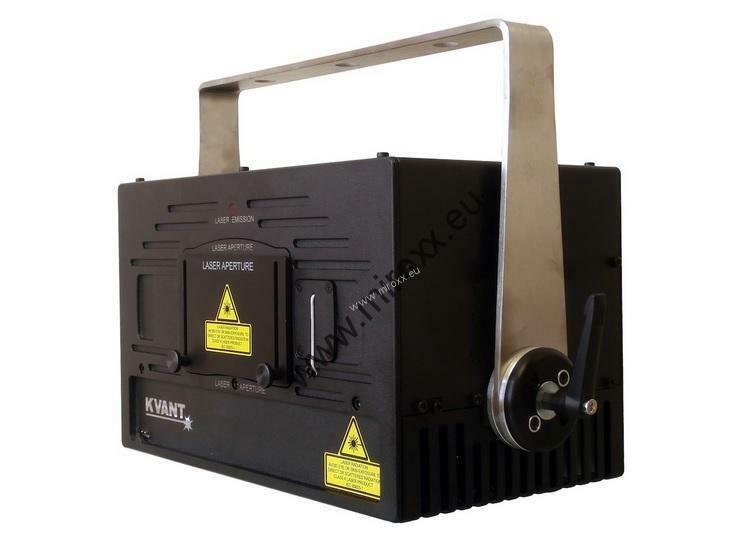 Kvant ClubMax 2000 is a cost effective and low maintenance Class 4 RGB laser system with beam properties and sophisticated design that make it very efficient with up to 1,500 people capacity venues. Kvant Clubmax 2000 is a cost effective and low maintenance laser display system with beam properties and sophisticated design that make it very efficient with up to 1800 people capacity venues. It also offers long life span and performance that is sure to please your audience, whilst saving you time and money. The Clubmax lasers are radically simple solution for anything from several thousand people raves to the smallest private clubs and cosy venues. Developed with regard to challenging clubbing environments the design is optimised to allow for long maintenance intervals. TrueRGB colour management ensures consistent colours across the whole range and near linear response of brightness modulation output. Redesigned main chassis for better and quieter cooling management. New back panel with comprehensive number of control features. Externally accessible beam alignment mechanism. Direct compatibility with Pangolin DiscoScan 2.0 lens and SafetyScan lenses. 40kpps scanning speed with default ScannerMax 506 scanning system; up to 90kpps using Saturn 1 (optional). All Clubmax systems are certified for TUV Laser Safety. 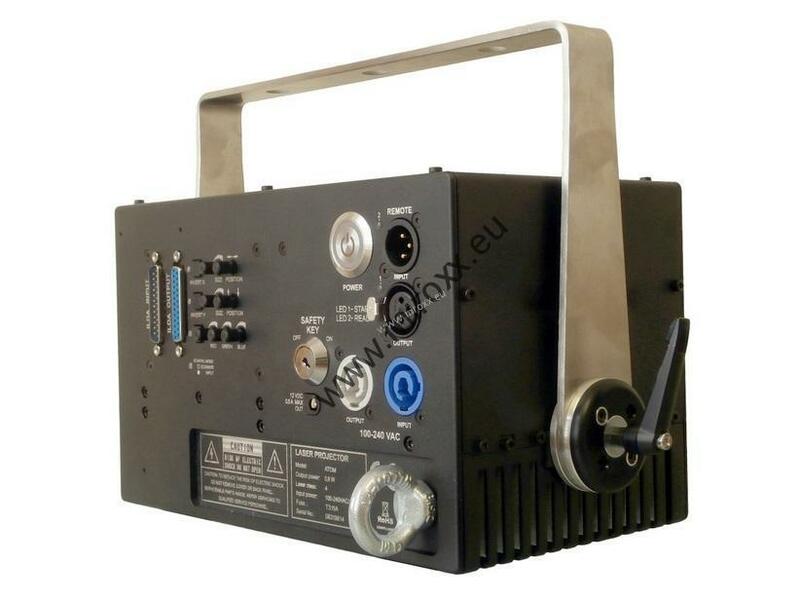 This laser projector uses our latest semiconductor diode laser technology together with some other features you would hardly find on laser from other manufacturers at this price level. Its robust and sturdy design makes it an ideal laser system for permanent installations and hire. Every Clubmax 2000 is delivered with Quality Control Certificate with recorded power output values of red, green and blue laser modules which are measured during the final quality control check.